A road trip in Argentina offers the ultimate mix of old-school charm and rock n'roll. By day, it's got wide open plains, snake-like switchbacks and off-the-beaten-track natural wonders; by night, it's got tango houses, sensational steak and all-night parties. 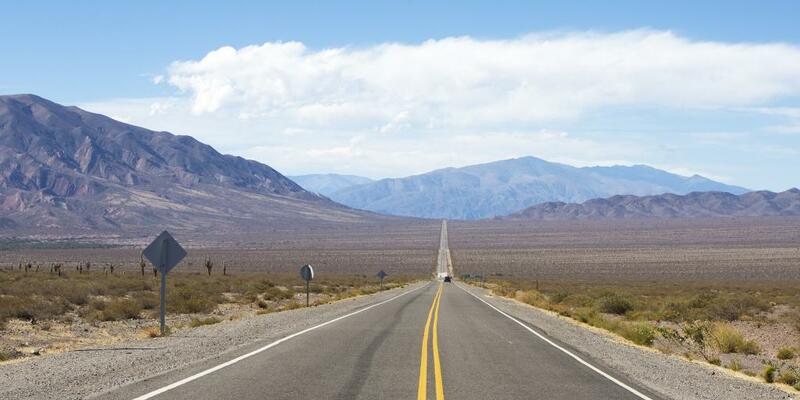 The legendary Route 40, which skirts up the whole western side of the country, is often seen as the Argentina road trip, but sticking to it too religiously means missing out on some of the country's most incredible spectacles. On this road trip itinerary, we hit up some of its most important stretches, but add some surprises along the way. 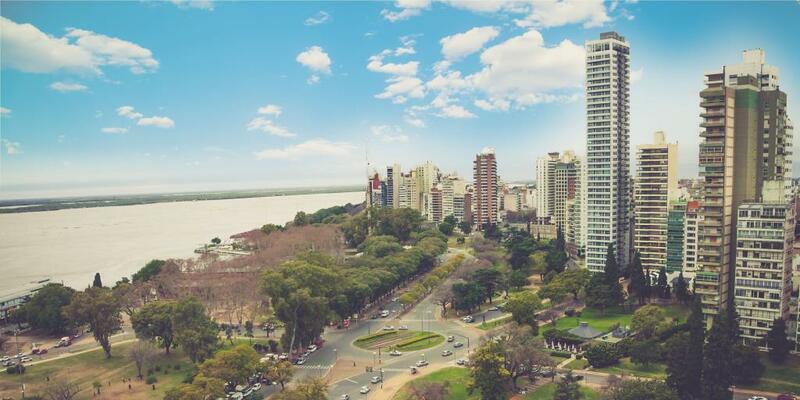 This Argentina road trip itinerary follows a round-route layout, so the most convenient city to fly into will likely be Buenos Aires, Argentina's capital. If you can, try to arrive early so that you can spend the day just walking around, taking in the sights and easing any jet lag you may have. You can collect a hire car at the airport or, if you feel unsure about driving in the city centre after a long flight, there are outlets in town. Either way, you'll need the vehicle in time to make an early start on day two, so it's best to book online and fetch it at some point on the first day. There's no doubt that hiring a car in Argentina can be more expensive than in other countries, but if you're the kind of person that's otherwise going to book onto flights rather than sit on a bus for 30 hours, then you're still likely to end up saving money. Given the nature of some of the roads on this trip, we advise shelling out the extra money for a four-wheel drive vehicle. 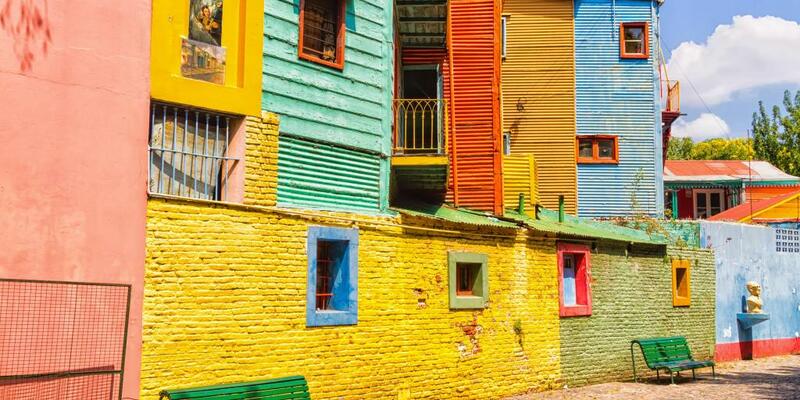 La Boca's rainbow of narrow corrugated iron houses, cartoonish statues and the La Bombonera football stadium frequently appear in photographs and postcards of the city, but to really get to know this famous neighbourhood you'll need to spend some time here. Its central street-museum, the pedestrianised El Caminito, charms visitors with its arts and craft stalls, tango dancers, crooning buskers, magicians and food vendors. In the roads just off of it there are many restaurants and coffee shops - sure, you'll pay more here, but you'll be grateful for a caffeine boost after that long flight. By all means feel free to chop and change this itinerary as you wish, but do note that La Boca isn't the safest of neighbourhoods for tourists at night so it's best to visit during the day. 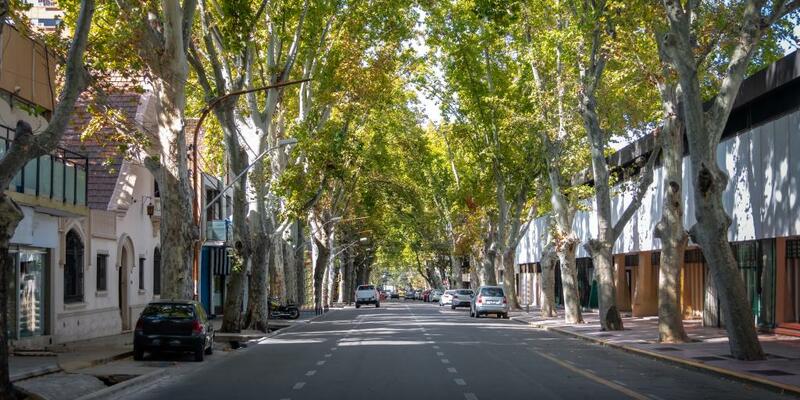 Next up is the neighbourhood of San Telmo, Buenos Aires' oldest barrio and certainly one of its most charming. 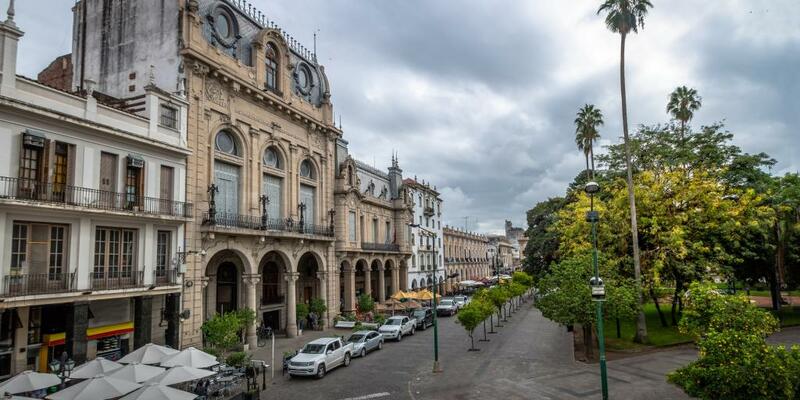 A web of thin cobbled streets overhung by the balconies of colonial-era buildings, it's centred around the Plaza Dorrego, where tango dancers perform for those sat sipping wine in open-air restaurants. Walking around the area, you'll find attractions such as the Museo Historico Nacional and numerous art galleries, as well as the Mercado San Telmo, a huge indoor fruit and veg market with a few food stalls. Stop here for an affordable (and delicious) empanada and beer lunch. 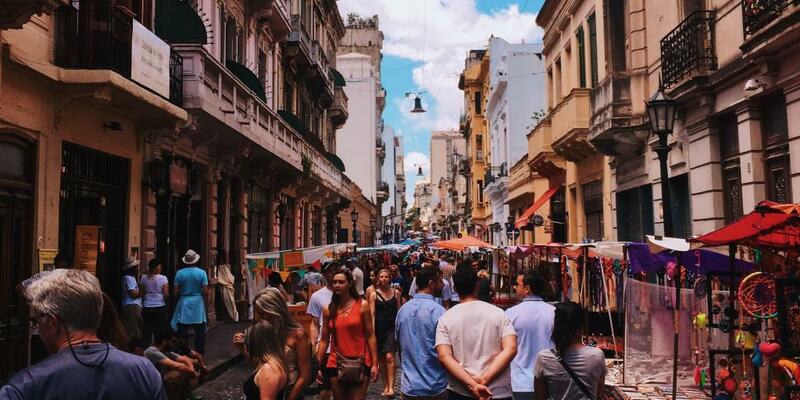 If you're in the city on a Sunday then spend a few hours at San Telmo's famous flea market, where traders sell everything from beautifully battered leather bags to kitschy souvenirs. 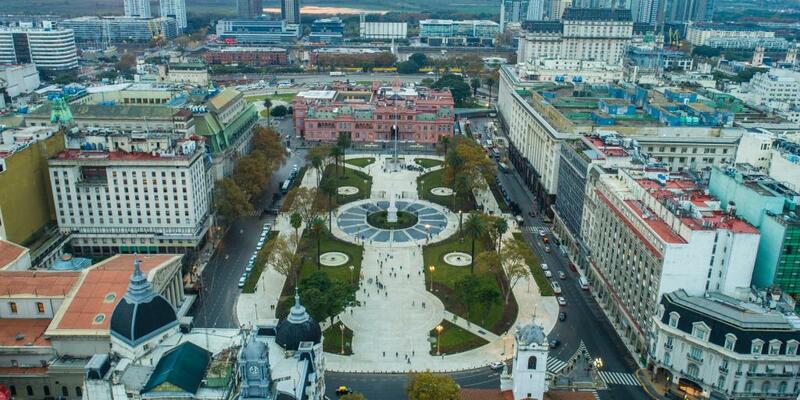 Continuing northwards via Defensa you will come to Plaza de Mayo, a square that's been right at the heart of many seminal moments in Argentine history, including demonstrations, revolutions and celebrations. It was here, from the balcony of the Casa Rosada, that former First Lady Eva Perón - think the Michelle Obama of the late '40s - gave addresses to her adoring devotees. The Cabildo, on the opposite side of the square, is from where the town council was run during the colonial era. If you visit on a Thursday afternoon then expect to see the Madres de Plaza de Mayo, a group of now-elderly women who have been meeting every week since 1977 to demand information about their children, who disappeared during the last military dictatorship in Argentina. 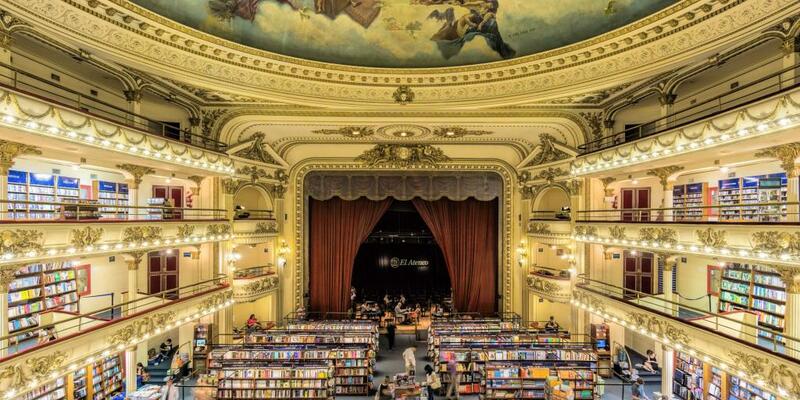 Whether by accident or intention, El Ateneo Grand Splendid manages to upstage just about every other bookstore the world over. And when we say upstage here, we mean it quite literally. Housed in a former theatre and still retaining many of its original features, this bibliophile's paradise now has shelves where the stalls once sat, comfy chairs in the balcony boxes, and is dripping in gold and decorated with grand ceiling frescoes. Although the majority of the books on sale are in Spanish, non-speakers should still enjoy popping their head into this impressive building, proclaimed the 'world's most beautiful bookstore' by National Geographic. Is it better than Paris' Shakespeare & Co? You'll have to decide for yourself. With streets rather than rows, mausoleums bigger than your house (seriously) and tombs decorated with elaborate sculptures, the enormous Recoleta Cemetery puts a whole new spin on the phrase 'ghost town'. 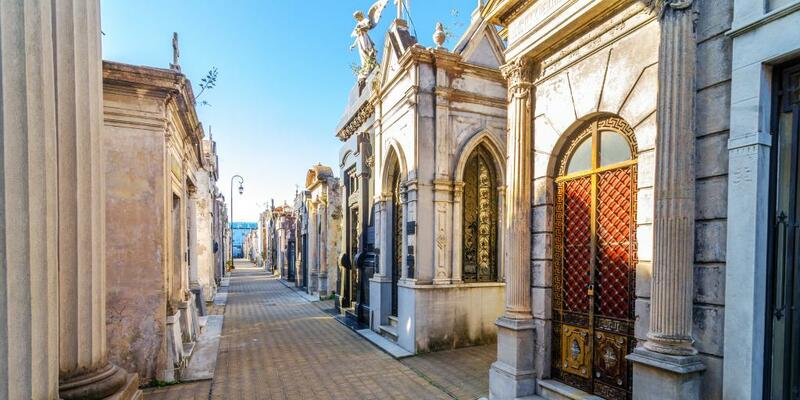 Still in use today, it's traditionally where the high-flyers of Argentinian society have been buried, and among those interred here are former presidents, Nobel Prize winners, actors and sportspeople. The most visited resident is surely Eva Perón, whose grave is still kept in flowers almost 70 years after her death by a constant stream of well-wishers. Ancestors are primarily responsible for the upkeep of graves, and walking between the maze of flamboyant memorials you'll come across a few that have fallen into disrepair or caved in. 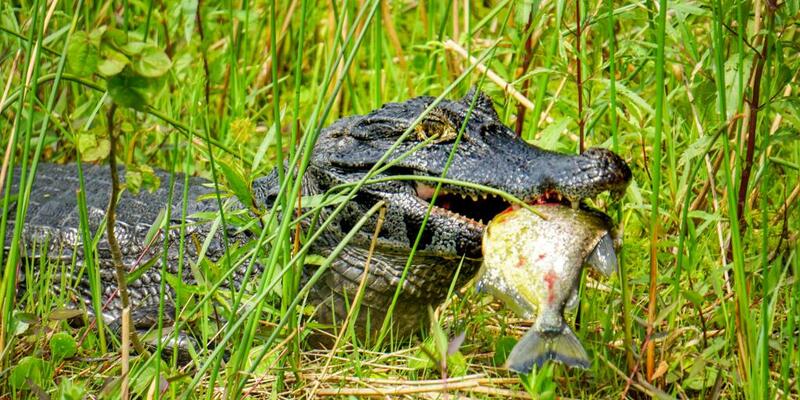 Don't be surprised to see the occasional bone poking out! After an afternoon of history and high-culture, head further north to take a wander around today's most swish neighbourhood, Palermo. The stuff of glossy lifestyle magazines, here good restaurants, independent boutiques and hip cafes line up next to cultural attractions including the Botanical Gardens and the Latin American Art Museum. Take the time to enjoy a leisurely walk around the peaceful Parque Tres de Febrero, making sure to see the rose garden, which contains more than 8,000 blooms from 93 species. 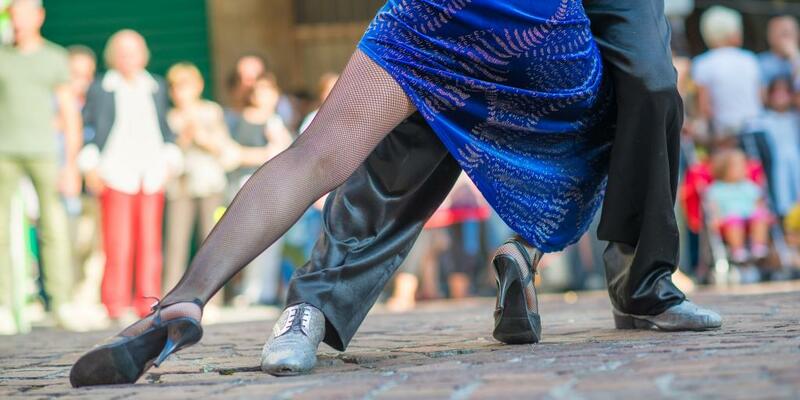 You can't possibly go on an Argentina road trip and come to Buenos Aires without trying your hand - or, more precisely, your feet - at tango dancing. Having originated along the border between Argentina and Uruguay, this sensual style of dance has become famous worldwide, and this city is at the centre of it. The go-to dance school is La Viruta, in Palermo, where they offer classes on Wednesday, Thursday, Friday and Sunday evenings. They welcome everyone from beginners to experts and you don't need to book classes in advance. Afterwards, congratulate yourself on your achievements with your first steak dinner of the trip. We'd recommend Calden del Soho, not only because their meat is sensational, but because their fries are to die for too. Top tip: Take a language book so that you can tell waiters exactly how you'd like your steak done. Although the meat is exceptionally good in Argentina, it often seems to arrive either still walking or slightly cremated - there is no in between. Now that you're equipped with some newfound dance moves, use any leftover jet lag to your advantage by getting out and enjoying a taste of the huge array of nightlife to be found in Buenos Aires. Aside from the tango houses and all night electro clubs, BA's underground bar scene is unrivalled, with inconspicuous doors leading into chic speakeasies all over the city. Among the best is Frank's, which is only accessible by saying a secret password - given away via clues on their Facebook page - inside a nondescript phone box. If you thought Mediterranean time ran late, then Porteño time is a whole new level of relaxed. Here, the drinking gets going from about 10pm, with boliches (nightclubs) firing up at about 2am, just as you'd normally be calling it a night. Now the jet lag has hopefully subsided, it's time to get started on driving around Argentina. Hopefully your night in Buenos Aires' bars didn't get too heavy, because the earlier start you make today, the better. Our eventual stopping point for the night will be the old colonial city of Córdoba, but the first port of call is Rosario, one of Argentina's most underrated cities and the birthplace of two (very different) national legends: Lionel Messi and Che Guevara. Today's drive covers quite a bit of distance, but we're basing this itinerary on the premise that you'll be making this road trip with someone else and that your co-pilot will be able to share some of the driving. 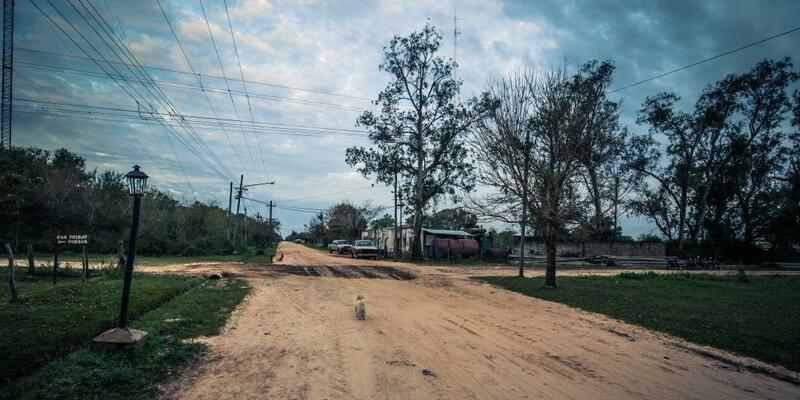 If you're taking this road trip alone, you may want to stop in Rosario overnight to break up the journey. Getting to Rosario should take approximately 3.5 hours if following the RN9 toll road. In general, tolls in Argentina are inexpensive and paid at the booths as you come to them, so take cash with you for the drive. Rosario's biggest claim to fame is not its famous babies, but the fact that it was here that the much-revered Argentinian flag was hoisted for the very first time. 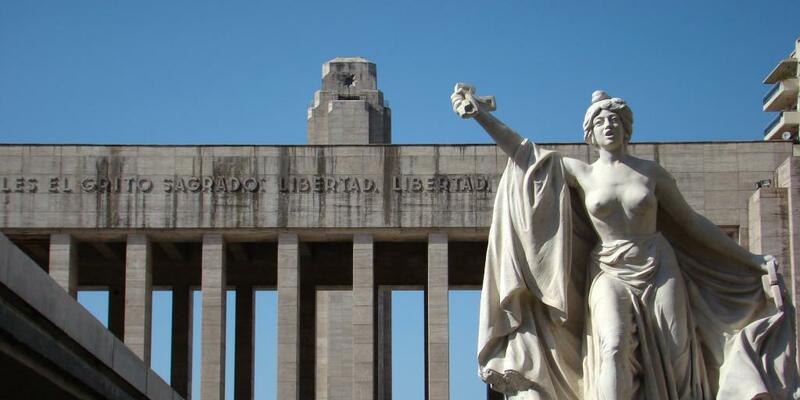 The expansive Monumento a la Bandera complex is built on the spot where this took place, and includes a tower built above the crypt of the flag's designer, Manuel Belgrano, as well as an eternal flame in tribute to those who have died fighting for Argentina. Top tip: Take the lift to the top of the tower for great views over the waterfront. 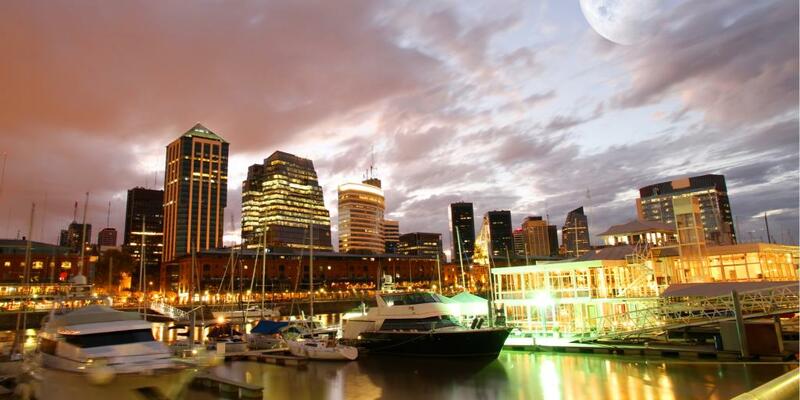 A delightfully liveable city, Rosario is blessed with green open spaces and neo-classical architecture, so stretch your legs by walking around town, taking in the grand old buildings, statues and monuments that line the streets. 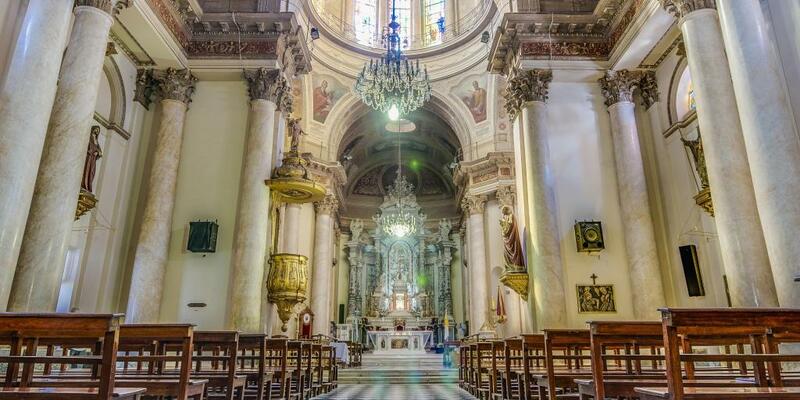 We'd suggest starting from Plaza 25 de Mayo, which is the city's original focal point and contains a monument to the revolution, City Hall, and the small but impressive Cathedral Basilica Shrine of Our Lady Del Rosario. 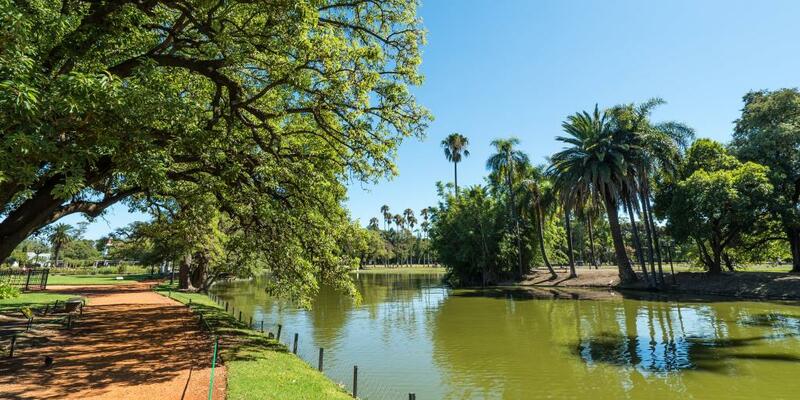 Although slightly out of the way, Parque Urquiza is the standout of the parks. Rosario is Argentina's undisputed ice cream capital, so pep yourself up before you get back on the road again with a sweet treat from one of the city's many heladerias. Having been established since 1919, Touche de Creme is one of the best known and offers a constantly changing variety of homemade flavours including chai, pistachio and banana split. Don't be afraid to ask to try a bite before you settle on your ice cream of choice! There are memorials to 'El Che' all over Argentina, but the 13-foot bronze statue that dominates Plaza Ernesto Che Guevara holds more authority than most others, owing to the fact that it stands proudly in the city where the man himself was born. Unveiled in 2008, it was created by melting down and sculpting thousands of keys donated by ordinary people from all over the country. As a result, it has been heralded as a collective effort reflective of Che's own ideals. The very house in which the controversial revolutionary was born actually still stands today, some two miles away, but is now a private apartment so unfortunately it's not possible to see inside. The onward journey to Córdoba should take about four and a half hours and so you'll probably arrive in the late afternoon or early evening. Once you've checked into your hotel, take the evening just to chill out and catch up on sleep. If you do arrive at the weekend, the craft market at Paseo de las Artes should still be open and is surrounded by some awesome restaurants. The capital of the province of the same name, Córdoba was once one of the most important cities in the whole region, a hub for education, religion and politics. Today, it's been relegated to being Argentina's second city, but is one where the past and the future mix seamlessly, with a rich Jesuit heritage providing the backdrop for a buzzing student scene. Start the day with a lazy dulce de leche laden breakfast - similar in taste to caramel but a lot more spreadable, dulce de leche is like a licence to have dessert before 9am. 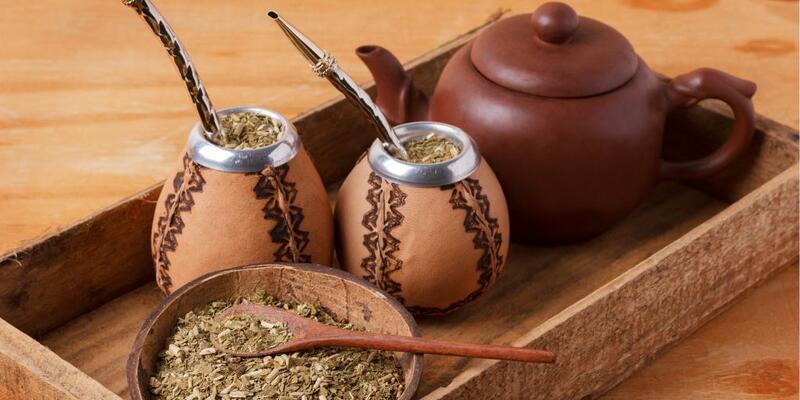 If you haven't already, you should also take this opportunity to try yerba mate (pronounced mah-tay), a high-caffeine hot drink that's made by infusing hot water with crushed leaves. More or less the national drink of Argentina, wherever you go you'll see people sipping this through a specially designed metal straw, a bombilla. Start your day in the city's main square, Plaza San Martin; although pretty enough, it's not the most exciting that you'll find in Latin America, but does contain some of Córdoba's must-see buildings. The huge cream=coloured Cathedral of Córdoba, the oldest continuously in-use church in the whole of Argentina, sits on one edge, and just beside is the city's Cabildo, which has served as everything from a council office to a detention centre, and is now a museum. Arguably the crème de la crème of the city's cultural treasures, the Jesuit Block is a collection of 17th-century buildings related to the colonial development of Córdoba, including a church, a priest's residence and the University of Córdoba, which is one of the oldest and most prestigious in South America. Together with a number of supporting rural farms, estancias as they are known, the block was declared a World Heritage site by UNESCO. The best place to start is the Museo Historico UNC Manzana, which will provide a backdrop for all of the other sights on the Jesuit trail. It's easy to get church fatigue when travelling around Latin America, but with its quirky details and colourful touches, Córdoba's Iglesia de Los Capuchinos should still be on the list. 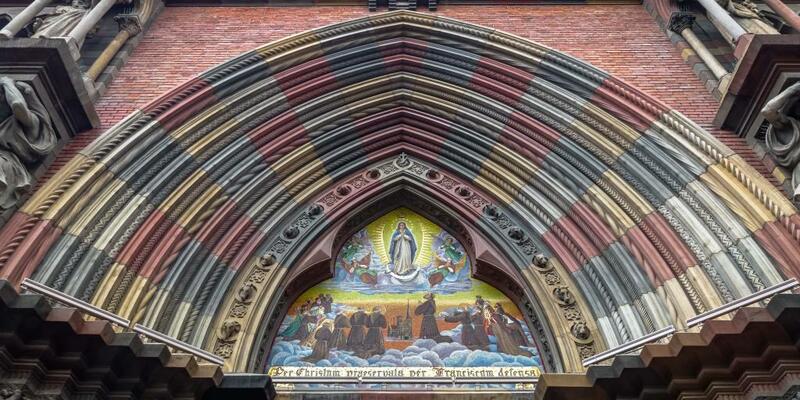 Look out for the many statues outside and within the church - it's what it's best known for! 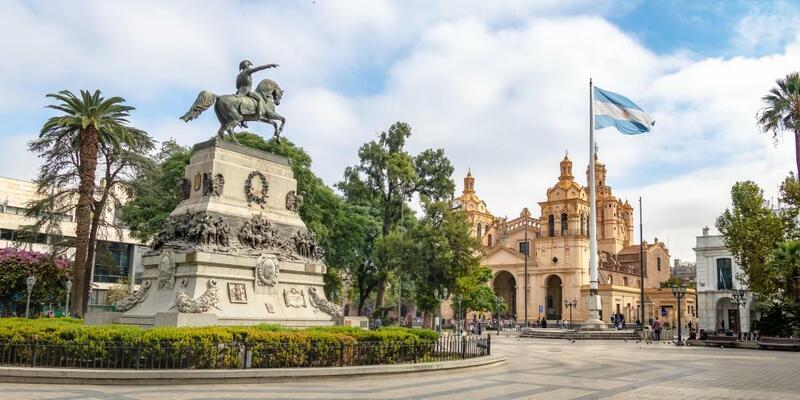 Seeing as Córdoba is the capital of the whole Córdoba province and situated near to Las Sierras mountain range, there are plenty of options for action-packed activities such as horse riding, walking and cycling, all of which can be organised from within the city. 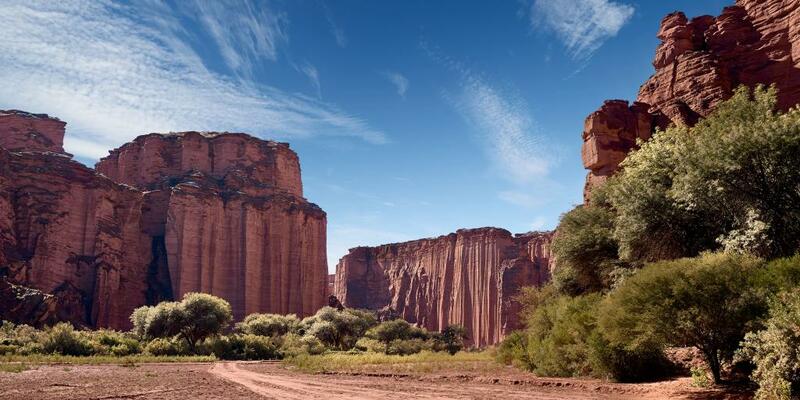 Among the most popular of self-drive jaunts is Quebrada del Condorito National Park, a protected area where Andean condors soar and the views are breathtaking. It's actually along the route to our next stop, Mendoza, but to get the most of it you'll need to allow yourself a few hours for hiking and time for a good meal afterwards, so it's best done as a day trip by itself. As the evening draws to a close, take a walk (or a cab) over to the General la Paz barrio and pay a visit to Viejo Loba, where they dish up big plates for relatively low prices. How do you know it's good? By 9pm you'll be waiting outside for a table! Afterwards, wind down by catching a show at one of Córdoba's many theatres - the Teatro del Libertador is the most well known - or settle down in one of the city's bars and see out the evening with a glass of Córdoba's signature drink, a Fernet and coke. How long it takes you to get from Córdoba to Mendoza will depend largely on what route you take. If you're aiming for the fastest possible journey, the drive should take between seven and eight hours but isn't overwhelming scenic, generally passing through dusty towns and wide open farmland. 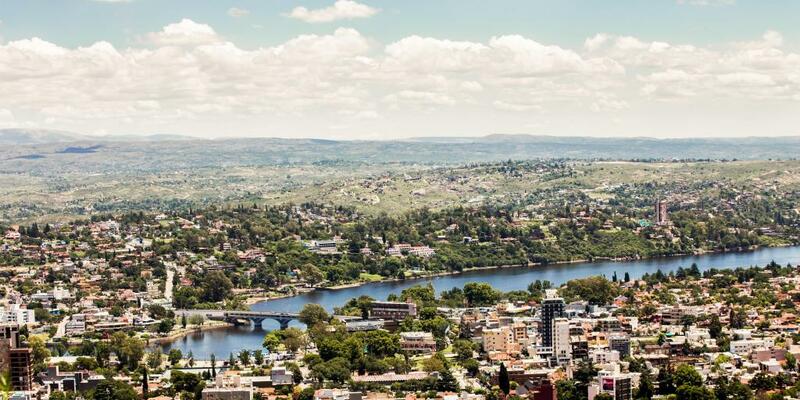 Instead, you may wish to take a more scenic route when leaving Córdoba, travelling via Villa Carlos Paz and west through the Sierra Mountains and down via Villa Dolores. This will add roughly 45 minutes to the trip. To keep you entertained throughout this somewhat uneventful leg of the trip, you and your driving companion(s) can try your hand at some of our favourite road trip games. The phrase 'healthy hedonist' is (quite fairly) enough to make most normal people cringe with embarrassment, and yet somehow, Mendoza is a city that makes it seem cool. Here, wine is balanced by gentle cycles through the countryside, aching muscles are soothed and rejuvenated in thermal spas, and long hikes are rewarded by juicy steak dinners. In fact, if you are lucky enough to have an extra few nights to spare on your Argentina road trip, then we couldn't think of a better place to spend them than Mendoza. For now though, start the day with a nice big breakfast - you're going to need both the energy and the suitably lined stomach. 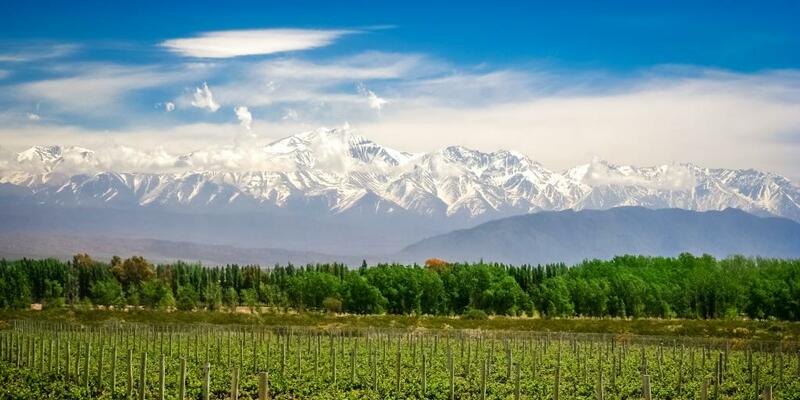 It's a well established fact that a good glass of red wine has medicinal purposes, so a day spent touring some of the bodegas (wineries) in the Mendoza region - where two thirds of all of Argentina's wine is produced - is, if anything, good for your health. With over 1,500 currently operating in this region, it would be impossible to visit them all in one go, so the best way to get a feel for the area is to hire a bike and spend a day hopping between a few, sampling a drop or two at each. You can either do this as part of an organised group or as a DIY excursion; if you go for the latter option (which we totally recommend), then start by getting the bus or a taxi (today is not the day for driving) to the town of Maipu, about 11 miles away. Here, you'll be able to hire a bike, borrow a map and set off on your soon-to-be merry way, selecting which bodegas to visit at your leisure. Fortunately, most of the ride will follow cycle paths, with only a few sections of on-road driving. Don't be alarmed if a policeman on a moped starts tailing you; they're most likely just checking you're safe. If wine isn't your thing, the good news is that there's far more to do in Mendoza than just drink. 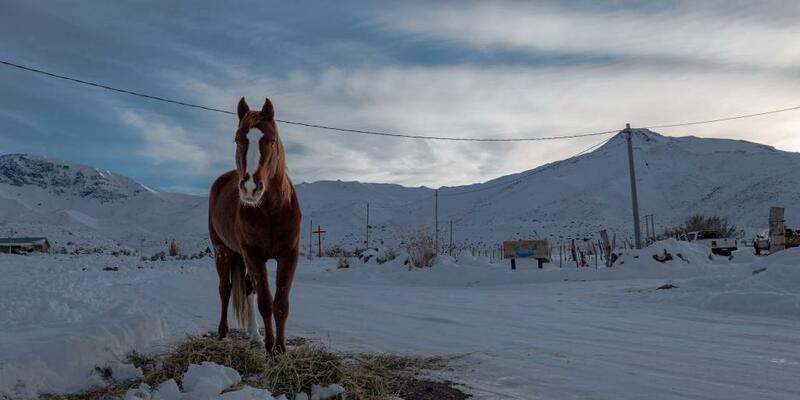 Although the city is more about ambience than attractions, in being so close to the Andes it does serve as a centre for adventure sports, including trekking, horseback riding and even skiing, depending on the season. Alternatively, bag yourself a day pass to the completely glorious Termas Cacheuta Spa, which is nestled in the mountains about 25 miles away. When booking online, your entry ticket includes a transfer from Mendoza and an epic lunch, as well as use of facilities including their outdoor thermal pools, mud baths, saunas and cold spring water pools. Massages cost extra, but even without one you'll walk out feeling like a new person! After a long day of cycling, sampling, white water rafting or lounging, you're probably going to want something tasty and carby to devour for dinner. The giant pizzas at Mascalzone fit the bill, but make sure to order a side of their locally grown olives too. If you've still got energy left after dinner, there are stacks of bars and restaurants to be found along the trendy Avenue Arístides Villanueva, about a 10 minute walk away. It's another driving-heavy day, as we travel northwards on our Argentina road trip from Mendoza to the city of La Rioja. Clocking in at roughly seven and a half hours in total, today's is the kind of drive that doesn't exactly scream mountain charm but does let you stop for cool selfies in a wide-open desert. Food-wise, we'd recommend upping the road trip experience by packing a giant picnic for the drive and pulling over to enjoy it in the middle of nowhere. If you did want something more substantial, a short detour to the city of San Juan will provide you with umpteen restaurants, as well as churches, museums and parks. Admittedly, La Rioja isn't exactly one of the 'must see' towns on an Argentina road trip and this stop is more of a necessity than anything, but should give you a taste of the country away from the traditional tourist circuit. 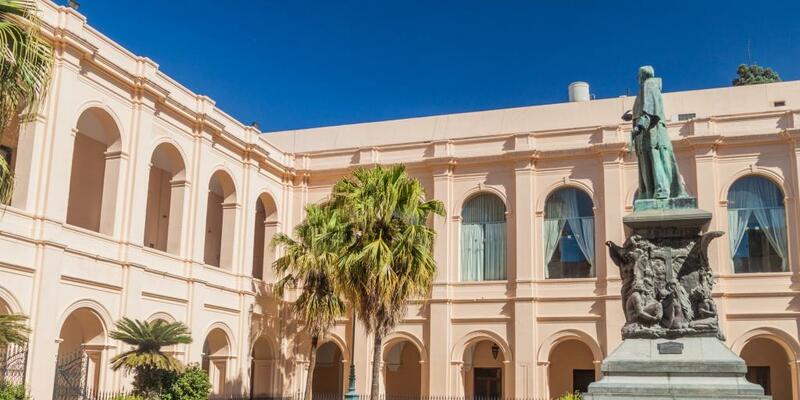 When you arrive, park up and then head for the Plaza de Mayo, from where you'll be able to discover wonderful old buildings, restaurants and bars. The German-themed Tempelo Cervecero, which has an awesome craft beer selection, is unlike any other bar on this trip and not to be missed! The major attraction near to La Rioja is the Talampaya National Park, which contains unique geological structures and was once lush rainforest. Visiting it will take the best part of a day, but is worth it if you do have any extra time to spare here. Today's drive is all about following the legendary Route 40 through deserts, past mountains and into lonesome villages, up to the town of Cafayate. It's not the longest of drives so, if it sounds like your thing, you could always make a stop at the quirky Parque de Dinosaurios Sanagasta, roughly 30 minutes away from La Rioja, which features life-size models of dinosaurs in the middle of the desert. Belen is the biggest stop on this otherwise empty stretch of Route 40, so it's here you should grab some lunch and have a stroll around. With many textile houses, it's also the place to buy any ponchos or blankets you may wish to take home with you. 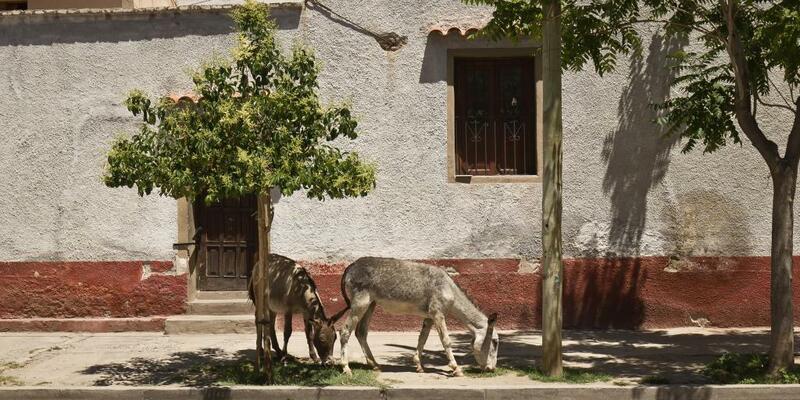 For a small town in the middle of nowhere, Cafayate is surprisingly endearing. Far from an insignificant dust village, its pavement restaurants, ageing colonial buildings, green squares and leafy sidewalks give it a developed, but unmistakably mellow vibe. 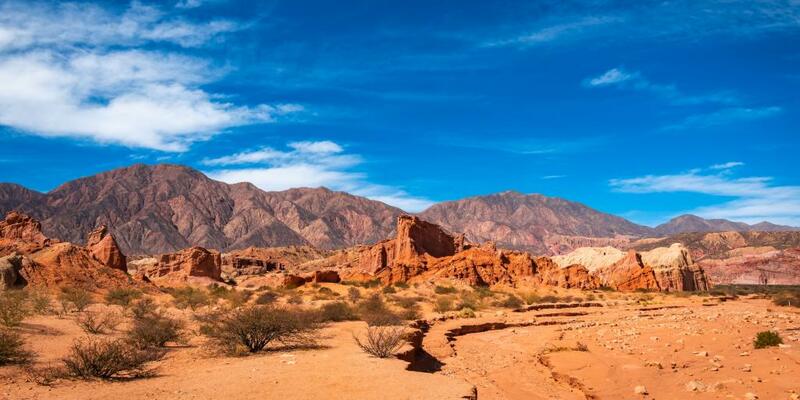 Although frequently drawing visitors thanks to its convenient location for exploring the Calchaquí valleys, Cafayate is actually famous for another reason - as one of Argentina's most productive wine-growing centres. Producing fruity and aromatic whites using the native torrontés grape, many of the bodegas can be found in or close to the centre of town, so it's a case of parking the car, picking a winery and your snack of choice, then stumbling back to your hotel. Perfect. 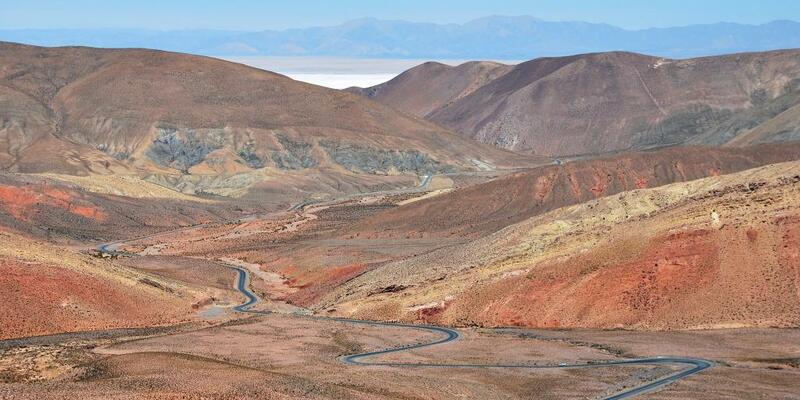 There's much debate regarding the best route from Cafayate to Salta and vice versa, about whether to stick with an old classic and take (the unpaved) Route 40 via Cachi, or switch to Route 68 and cruise through Quebradas de las Conchas National Park. For us, it has to be the latter. 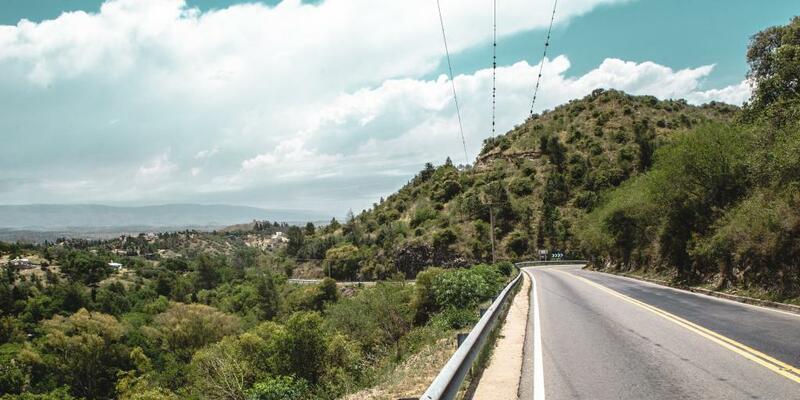 This drive, through arguably the most stunning of the Calchaquí valleys, is all about the landscape. Expect jagged rust-red mountain peaks, wild cacti, expansive skies and green scrubs, interspersed with naturally formed geological wonders. Put simply, this is the closest you're ever going to get to driving on Mars. The first formation you'll come across is the naturally created Amphitheatre, which has acoustics that could rival an opera hall. Walk down from the road and shout 'helloooooooo' like you're in terrible a 'find yourself' film. Just a little further on sits The Devil's Throat, a huge enveloping canyon formed by layers of fiery orange rocks. While this one looks like it could be a termite mound, it's actually a naturally formed obelisk. Salta, as you will see, is a bit like a cockney accent: a touch rough around the edges, sure, but impossible not to be charmed by. With outdoor restaurants and leafy plazas set amongst time-worn colonial buildings, it's less showy than Mendoza, but just as easy to love. Presuming you left Cafayate fairly early in the morning, and allowing plenty of time for those all-important photo stops, you should arrive in Salta in the early afternoon, with plenty of time left to explore the city. After a string of cities steeped in colonial heritage, Argentina's northern provinces offer a fascinating insight into the Inca civilisation that once dominated these lands. Salta's Museo de Arqueología de Alta Montaña, which was founded after the discovery of three naturally-preserved Inca children on the Lullaillaco volcano, offers the perfect introduction this culture, using their story to shed light on the life and times of those they would have lived among. Believed to have been the offspring of noble leaders and sacrificially offered to the gods, these mummies are on display at the museum, as are a large number of grave goods they were buried with. 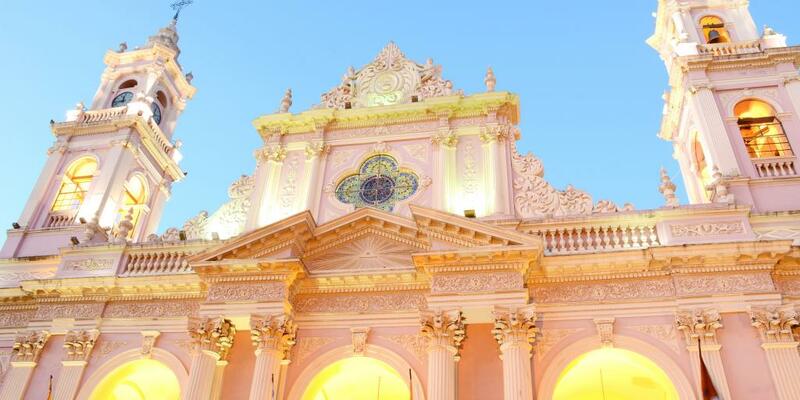 Candy cotton pink and perched on the edge of the central Plaza 9 de Julio, the Cathedral of Salta is one of the city's most recognisable landmarks. Completed in the late 1800s on the site of an earlier church which had been damaged by an earthquake, the interior is decorated with frescoes depicting the history of the region. If you can, do try to call in while mass is happening or the choir are rehearsing - even if you're not religious, the atmosphere is overpowering. 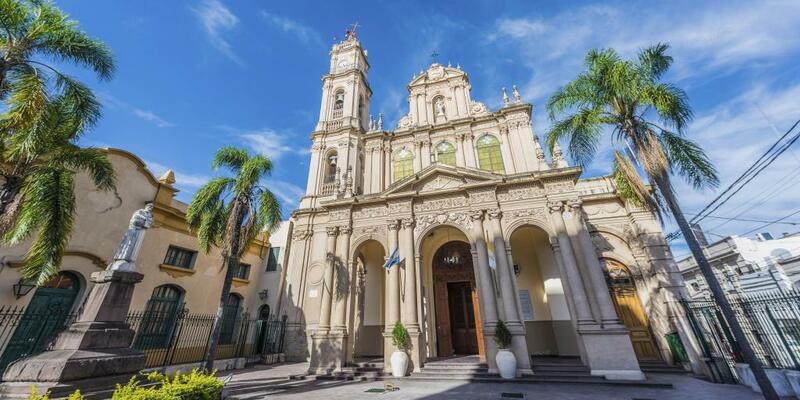 Looking like a posh bank by day and a fancy theatre by night, and surrounded by low-level and slightly battered shops, the grandness of Iglesia San Francisco makes it stand out like a marvellously sore thumb in Salta. A marker of the Spanish colonial conquests, and just 400 metres away from the MAAM, it was founded in the 1600s and - in contrast to its flamboyant exterior - is darker and more sombre than others in the city. The church itself is a really big attraction, but there's also the San Francisco Museum displaying religious art just next door . Before the sun sets, catch the cable car up to Cerro San Bernardo to soak up a view over the sprawling city below. 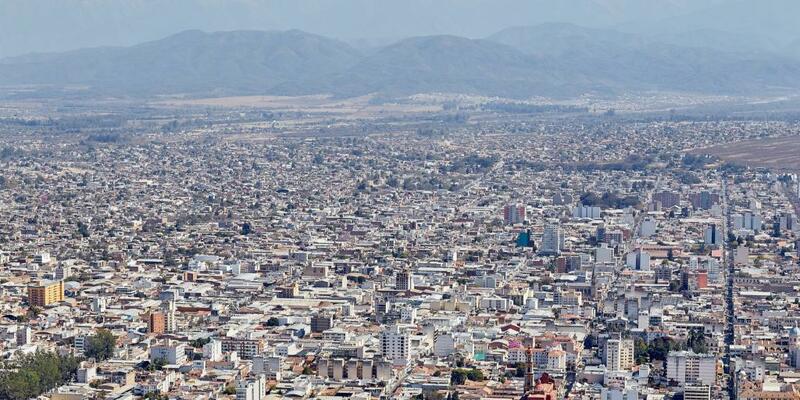 Alternatively, you could take inspiration from Salta's locals who use the hill to keep fit and make the pleasant walk to the top, saving yourself 75 pesos in the process. Doing it this way should take about 40 minutes, presuming you're fairly fit. At the top, there's a handy kiosk selling ice creams and drinks, as well as a little park; we'd suggest you time your arrival for just as the sun begins to fade so that you can kick back with a beer, watch the sunset, and see Salta twinkling too. 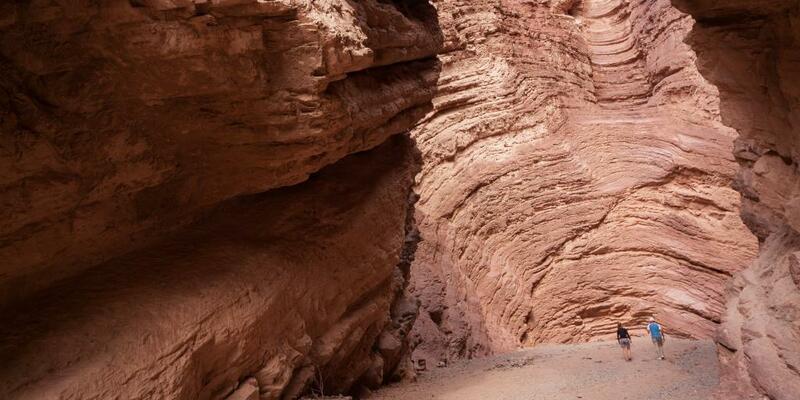 When we say driving Salta to Jujuy, what we actually mean is that you'll be passing through Jujuy early in the day and then coming back to it this evening. Just 77 miles on from Salta, there's no real reason to stop here the first time you approach it, unless you need to fill up with petrol or stock up on snacks. 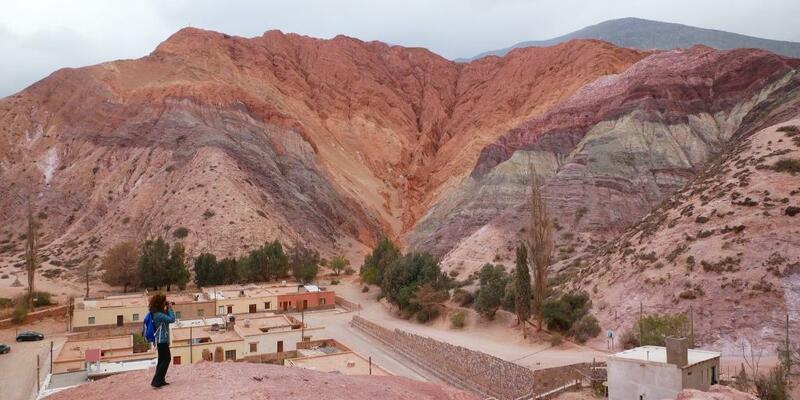 Today is predominantly dedicated to exploring the desolate Quebrada de Humahuaca, a narrow mountain valley that forms part of the Inca Trail and shows evidence of use as far back as prehistoric times. 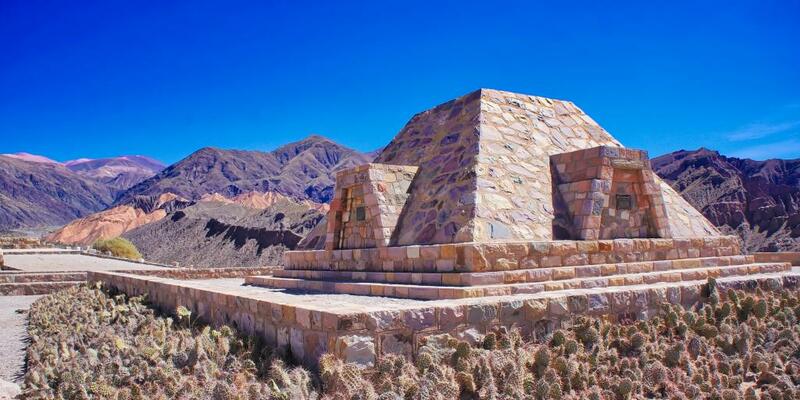 The stop is the village of Purmamarca, so follow Route 9 up through Jujuy, before turning off onto Route 52. 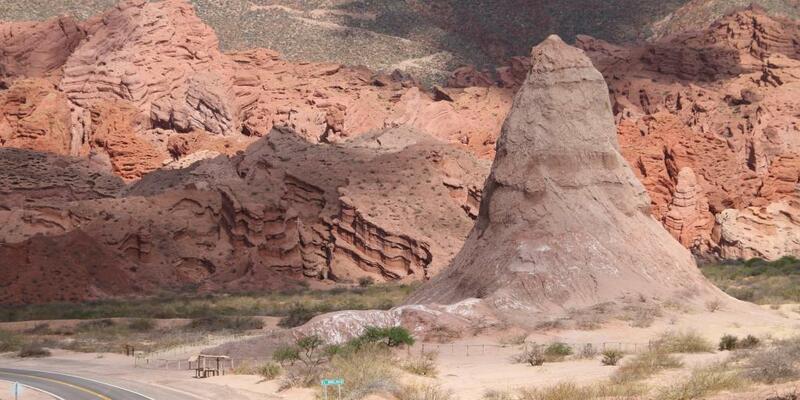 Route 52, as you are about to discover, is one of the most exhilarating driving experiences in Argentina. Although Purmamarca's streets are now lined with stalls flogging tourist tat, its biggest attraction is actually its location, set as it is at the base of the Hill of Seven Colours. Legend has it that the hill was once as dull as any other, but the village's children, unhappy with this, sneaked out of their beds every night for a week to paint it, with a new colour 'mysteriously' appearing each morning. Unfortunately, the truth is somewhat less heartwarming than that, although no less interesting; it was created by the fusion of different types of rock, each formed during different time periods, with the oldest layer believed to be up to four million years old. 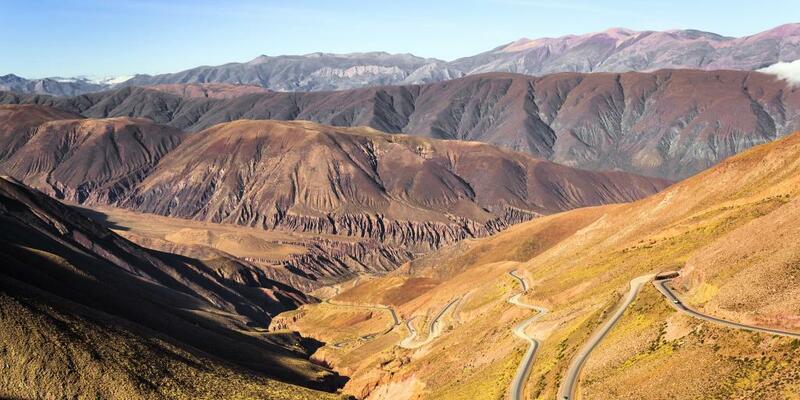 Continuing along Route 52, the drive between Purmamarca and Salinas Grandes is where the thrill factor really steps up a notch as you come to the Cuesta de Lipan (Lipan Slope), a stretch of dramatically snaking switchbacks that climb approximately 2,000 metres over the space of 40km. Enjoy whirling back and forth, and then stop to take a snap of what you've just conquered when you reach the highest point. After passing the peak of Cuesta de Lipan the road starts descending again and while it may get slightly more sensible, the scenery continues to impress. 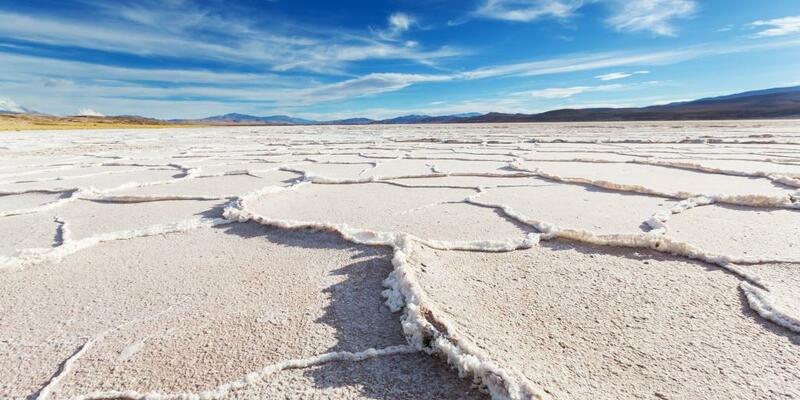 By following the road onward you'll eventually come to Salinas Grandes, a vast expanse of salt flats that sit at well over 3,000 metres above sea level. Although not actually part of Quebrada de Humahuaca, it's so close and so otherworldly it would be foolish not to visit while you're here. Allow a couple of hours at Salinas Grandes so that you can just play around, using the incredible white backdrop and expansive space to create optical illusions. Points for the most creative! Top tip: During the afternoon the flats can get very windy, so it's likely that the earlier you can get there the more you will enjoy it. Oh, and take sunglasses. 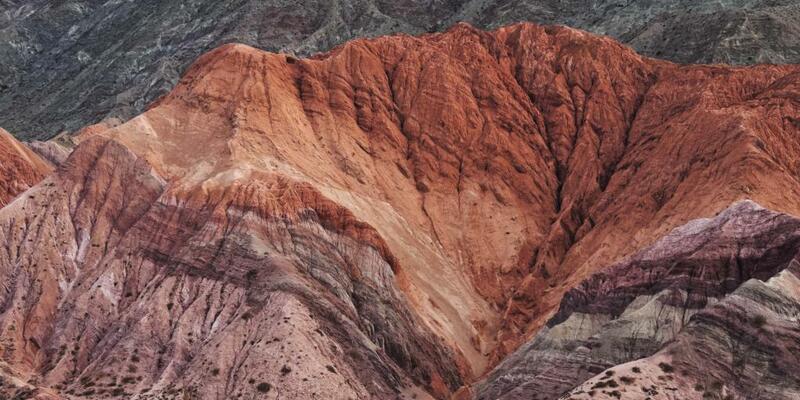 The next stop along the way is Tilcara, the de-facto capital of the Quebrada de Humahuaca area and the town in which to learn about the human side of this remarkable habitat. 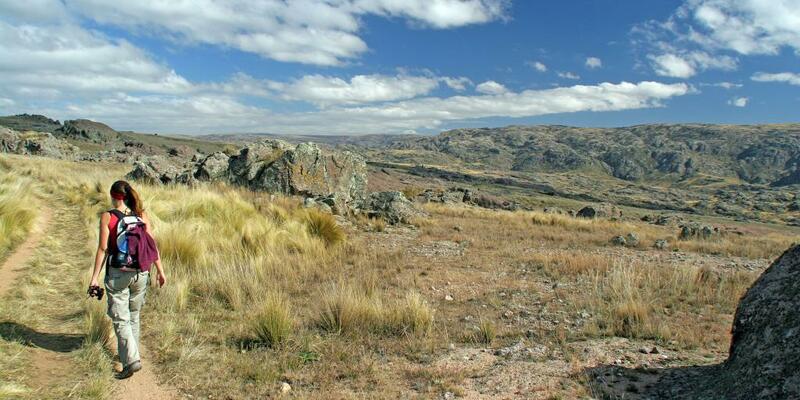 Its most notable site is Pucará de Tilcara, a pre-Inca fort sitting atop a hill just outside of the city. Originally built by the Omaguaca tribe almost 1,000 years ago, and in use right through until the arrival of the Spanish in 1586, it features partly reconstructed remains of houses and monuments. As a bonus, although perhaps not the most original of touches, there's a llama farm and a cactus garden too. Entry to the Archeological Museum in the centre of town is also included in your ticket price. By now you'll almost certainly be hungry, and the good news is that Tilcara offers an unexpectedly wide selection of restaurants. Non-meat eaters will be overjoyed to stumble across Semillita Milagrosa, which specialises in vegetarian eats; on the opposite end of the scale, you could also tuck into some tasty llama at numerous establishments in town. 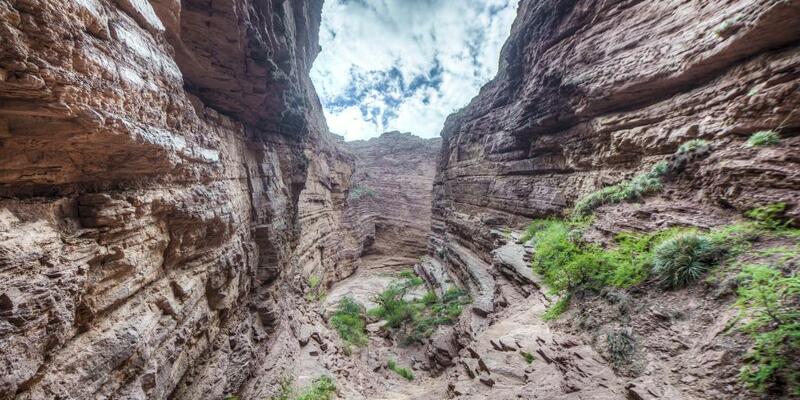 After your jaunt into Quebrada de Humahuaca, it's time to travel back to Jujuy, about 90 minutes away from Tilcara. 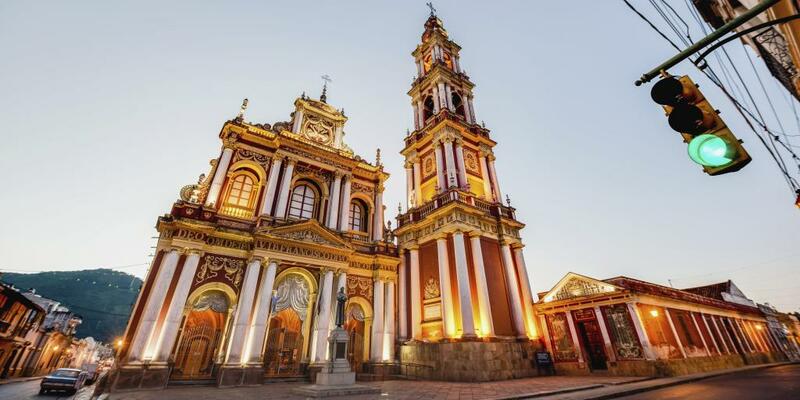 Although lacking the charm of Salta, it's still got everything you need for a restful evening, including good hotels, a range of restaurants and a few haunts in which to toast your day with a tipple or two. If you get back to the town in time there are also a number of churches and museums to discover, although if it's a toss up between these and spending more time exploring the valley, then we'd definitely recommend choosing the latter. Note that Jujuy's official name is San Salvador de Jujuy, and it is sometimes referred to by locals as simply San Salvador. You shouldn't get lost getting there, but if you do then it's worth using the whole title when asking for directions. As we said before, this Argentina road trip is based on two people being able to share the driving work and so includes a few long driving days. Unfortunately, today is one of them, with the journey from Jujuy to Corrientes spanning over 500 miles and clocking in at approximately 10 hours. We'd love to tell you that this was the highlight of the trip, but to be honest Route 16 isn't the most inspiring drive, more a series of small towns linked by a long, mostly straight, particularly boring road. Stay with us here. What we can promise, is that by the end of Day 11 any car-induced cabin fever is going to have melted right away. In the meantime, the village of Monte Quemado is a useful mid-journey stopping point, bearing all of the necessary road trip amenities as well as Parrillada El Rancho, one of those restaurants that looks like nothing on the outside (or the inside, for that matter) but serves mouthwatering meats. About 90 minutes further along is Pampas de los Guanacos, another village with petrol and ATM facilities. Realistically, you're going to make a fairly late arrival into Corrientes and so it's probably going to be a case of checking into your hotel, finding somewhere to eat and getting some sleep. If you did have any juice left in the proverbial tank, Corrientes is a lovely city for an evening stroll around, with many churches, cathedrals and old buildings, as well as a pleasant waterfront from which to watch the sun go down. 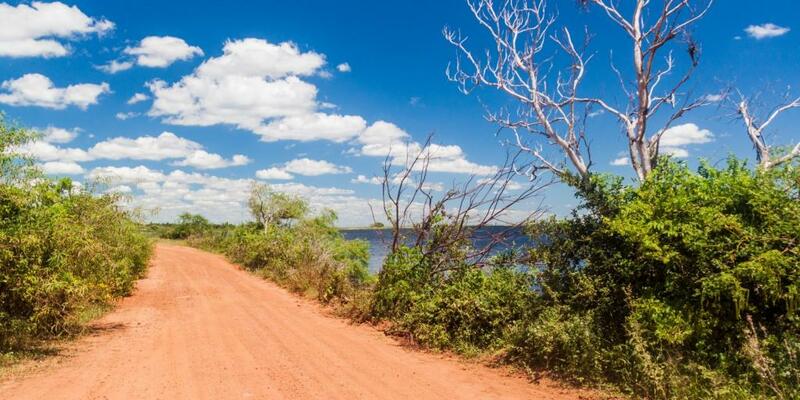 It should take about six hours to travel from Corrientes to Colonia Carlos Pellegrini, a muddy dirt town that just happens to be the gateway to the Iberá National Park, one of Argentina's best kept secrets. A bit like the magical wardrobe in C.S. Lewis' storybook classic, behind this town lies another world entirely - almost 400,000 acres of untamed wetlands which are home to thousands upon thousands of wildlife species, as well as an unimaginable range of flora. Having only be designated a national park in 2018, it's still very much one of the country's underrated gems. That's all set to change, however, and over the next 10 years it's estimated that the area will receive up to 100,000 visitors per year. In other words, if you want to see it before it changes, then you need to move fast. Just over half way into today's drive you will arrive in the city of Mercedes - top up with fuel here and get some cash out, as access to both of these will be in short supply later on. Back on the road, and it's almost time to make the most of that 4WD you invested in at the start of the trip, as although some of the road from Mercedes to Colonia Carlos Pellegrini is paved, there are still parts which are simply mud tracks. Do note that even with a 4WD this road shouldn't really be attempted in bad weather. On arriving in Colonia Carlos Pellegrini, the first thing that you'll notice is that there isn't a whole lot to it, aside from some guesthouses, a couple of places to eat and a small supermarket. Oh, and probably a monkey or two hanging around on your front porch. After checking into your accommodation of choice, spend the rest of the afternoon arranging any excursions you may wish to take tomorrow. This is something your guesthouse will normally be able to help with, although a translation pocketbook will serve you well. Other than that? Take a book or a pack of cards, and just enjoy some downtime. After a few days of solid driving, it's time to banish the car to the parking lot for a day and really get out into nature. Unlike going on an Amazonian rainforest trek, you don't necessarily need a guide to go wildlife-spotting from Colonia Carlos Pellegrini, as the park is equipped with free walking trails that you can explore at your own pace. 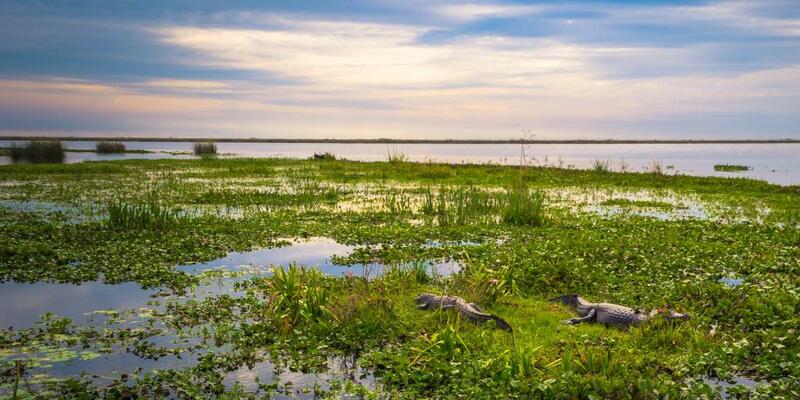 Expect to see howler monkeys and marsh deer, birds and butterflies, crocodiles and capybaras galore, among plenty of other unusual creatures. 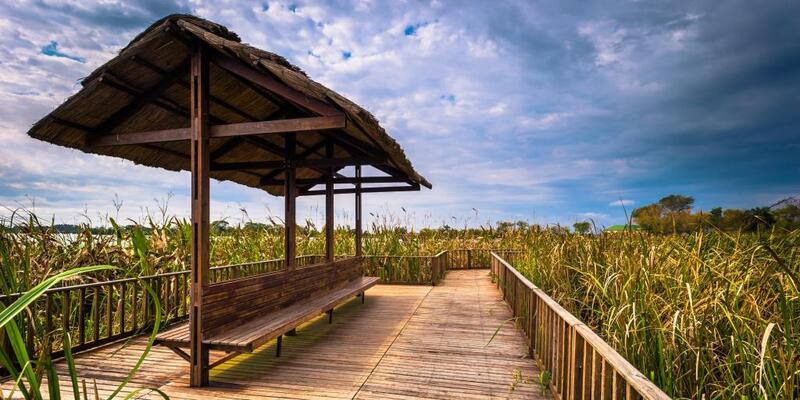 After grabbing some lunch in town, head out into the wetlands on horseback, this time with an organised guide. 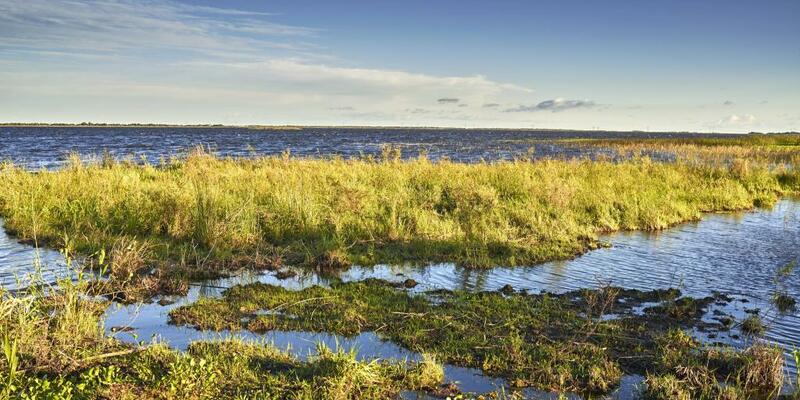 Travelling through swamps and marshes, this is the way to get even closer to nature, see more animals, and embrace Argentina's gaucho culture at the same time. And let's be honest, the ego boost you get from feeling like some kind of modern day explorer as you visit the nooks and crannies that aren't visible from the nature walks is also wonderfully satisfying! Horse riding isn't for everyone, so for something more gentle book onto a boat ride around the wetlands. You could even do both - it's not like you're going to be here again any time soon! Once again, the boat rides offer endless opportunities to see wildlife in its natural habitat, in particular birds and fish. If you've ever dreamed of being in touching distance of a piranha, now is your chance. 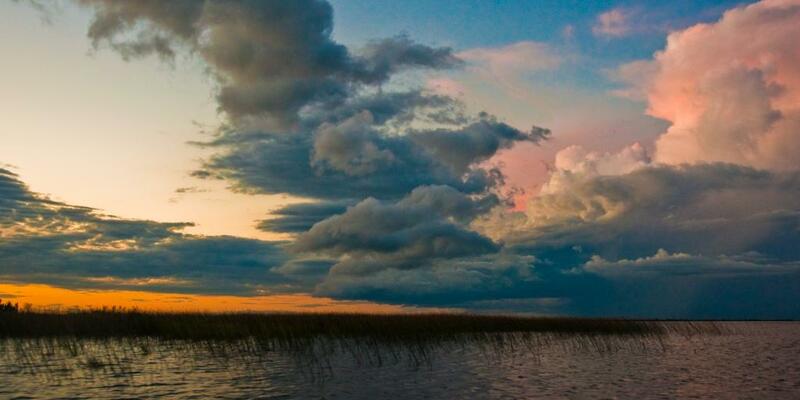 Although boat tours run throughout the day, we recommend taking one at first light, when the wetlands are just stirring into life, or in the late afternoon when everything is lit up with that glorious golden hour hue. When the sun goes down on Iberá National Park, a whole new ecosystem springs into life as the night-owls come out to play. You'll need a guide for this one, but you'll get to see a whole range of creatures that you wouldn't by day, as well as flowers that only bloom at night. When you're ready, retire for the best night's sleep you'll ever have - the fresh air, busy day and all of the excitement is a lethal combination, in the best way possible. It's the last day of your road trip and time to make the final journey back to Buenos Aires. Where exactly you stop along the way is up to you. In Federación, you'll find hot springs and chocolate shops; Concordia offers churches, museums and a lake. Both have a plentiful selection of restaurants and shops in which to stock up on car snacks for the rest of the ride. 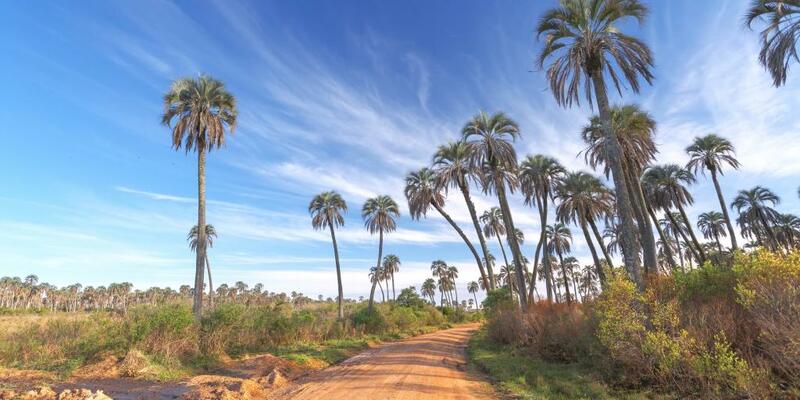 If you get an early enough start, you might also get time to visit the El Palmar National Park, created to preserve one of the world's last groves of Yatay palm trees, a species once commonplace throughout Argentina, Uruguay and Brazil. See if you can spot a mountain fox or two roaming wild! For the most part, it's a very easy drive, travelling along paved and well-cared for toll roads, past lush green fields. That said, there have been a number of serious accidents along Route 14 in the last few years, earning it a dicey reputation, so take it at your own pace and keep your eyes open. Once you get back to Buenos Aires, you can either catch a late flight out - and most likely sleep through the entire thing - or stay the night and have another day to explore the city. Whatever you choose, we hope you enjoy the trip!